Estee Lauder is an American beauty and healthcare company known for its skincare, make up, fragrance and hair care products. The company has a diversified portfolio of labels across global. Estee Lauder began their cosmetic business selling cleansing oil and skin lotion. It was founded by William Lauder way back in the year 1946. If you have a problem with Estee Lauder, contact the President and the CEO of the company, Fabrizio Freda. Now Estee Lauder stands with more than 1,500 products to offer to their customers. Headquarters in New York, the corporate office address is 767 Fifth Avenue, zip code 10153. You can call the head office directly at 212-572-4200. If you have a customer service problem, you can call toll free 1-877-311-3883. Estee Lauder is a brand known by almost every top model in the industry, and the products are endorsed by iconic names and top celebrities as well. I recently bought number 407 pure color liquid lip color at Dillard countryside mall clearwater Florida. I asked the sales associate if this lipstick would stay on she assured me yes it lasts longer and tough to come off. I tried it but found it does not stay on in the least in fact it’s kind of messy I use other Estée Lauder products such as the double wear so I am disappointed this did not meet my expectation. Thank you. Hello,Two weeks ago i purchased a product at Estee Lauder counter located at the shore mall in Egg Harbor Township NJ (this was not the fisrt time i purchased something, im a regular customer), the same day i made an apppointment for the next day Sunday at 3pm to get make up done because i had an a very important event that night (honestly i am not good doing my make up) the next day i did showed up for my appoitment and after i waited about 20 minutes i finally got the attention of the person working that day at Estee Lauder, her name is Patty Patrom. She was busy with a customer because it was the week for the annual gifts. I understand that when they are busy with a client we must wait in line but the fact that she didnt want to greet me with a simple smile it made me feel so unwelcome. When she decide to look at me she asked " Are you ok?" her facial expression was like she didnt understand why i was there for that long (I felt like she wish that ill leave instead to remain there waiting for her), offcourse i was patiently waiting for her to say at least hello and i will be with you in a moment. My answer was hi, yes i am very good, i am just waiting for you to finish with that customer, then she asked me "what do you need?" i said, i made an make up appoitment and i guess you are the person that will do it for me. She got kind mad and told me that she could not do it because on Sundays there is only one person working and she was doing gifts, then she began talking to the couple that she was attending saying that she didnt understand why the other employees take appoitments for sundays. At that moment i felt terrible because i felt like a was begging for a favor (i know its a complementary but i always tip well even if i am not obligated to do it). This lady said that she was busy but i honestly she wasnt. I had make up done twice before by Dennise on the same periods where Estee gives the gifts away and she was amazing, busy yes, but she always greet the customers in an amazing way, she was able to managed to do my make up and to assist customers at the same time, she had to stops few times doing my make up offcourse but i didnt mind because we all know there will be customers always. Mrs. Patty told me at the end that she could ask someone else from different brands to see if they will able to do it for me but she also said right way that she doubt it because seemed that everybody was busy that day. I felt even worse, humilated in front of that couple that she was assisting at that moment. My answer was, no worries, ill do my make up at home, she said "im sorry" but honestly she wasnt at all, i dont know if that fact that im hispanic was a factor that prevent her to do it or maybe not, i guess ill never know. I just wanted to share my story because a company with a such good reputation should not allow employess to ruinned in some way. Im from a country where customer service its crucial to retain customers, its soo easy to make a customer feel so welcome, it only takes a smile and a "hello". At the end of the day i wasnt even mad at her because she didnt do my make up it was the long waiting for her to acknowlege that i was there and that her first words were "Are you ok?" why i wouldnt? PS. Denisse is the best employee that Estee Lauder at the Shore Mall has, your company is lucky to haver her. Thank you for taking your time to read it. Just wanted somebody to know that the my experience at the Estee Lauder counter was not pleasent. All i wanted was to return a 47 dollar item that was the wrong color. I did not have a proof of purchase but gave them the credit card I had used to buy the item . For some reason they could not find it in the system. At this point the the supervisor and two of her coworkers started to make me feel like I had stole the product and they refused to exchange it. I was not requesting for cash back I just wanted a different color. Until a different girl showed up who recognized me and finally exchanged the product for me. I have never been so humiliated that after this incident Im sad to say I will not be visiting the Estee Lauder counter anytime soon. I am a loyal Estée Lauder customer and I was rather disappointed when I took my invitation for a deluxe sample of Advanced Night Repair face Serum to Boots Inverness to be told that they were only sent 12 samples. I am extremely disappointed with the company and to be sent a invitation to collect my sample. The invitation even had my name on it. I recently purchased some estee lauder products which all in all came to around £115 one of the products was a foundation costing £30 and before I bought it one of the cashiers on the make up part did a match test on my face and assured me this was the perfect shade for my skin. I bought it and got home put some on the next day and it was awful it wasn't my skin tone colour anyway!! I still had my receipt and tried to take it back a few days later and the girl behind the counter refused and was also very abrupt and nasty. I tried to explain it hadn't been used at all and told her that someone had matched me with totally the wrong colour but she just totally refused. I am a single mother of 2 and can't afford to just throw away £30 on something I could never use!! The only reason I was able to afford to buy these products to start with was because it had been my birthday the previous week. So I'm totally gutted now! Is there an Estee Lauder complaint number I can call? Did you receive my complaint? I purchased a concealer and lipstick at Macy's in Lanesboro, MA on Jan. 12th 2016. The concealer is the wrong color and lipstick was way to drying. Needless to say, out of the 50 years using Estee Lauder products I never had any problems with returns. The sales women said all sales were final and she was not able to do any returns because the store was closing. Is there any suggestions on what to do with the products I can't use. Your suggestion would be appreciated. I went to the Estée Lauder counter at the Tuttle Mall. There are two Macy's there where the one is not as busy as the other and not much merchandise. When I went to the counter there was no one there to assist. I walked to the other Macy's store inside the mall. The Estée Lauder counter only had one person working it on a Saturday night. The girl working was not much help and seemed to be bothered by my purchase that she made me go to another counter to make the purchase. There was no personal customer service especially at this mall. When Kingsdale was open, those ladies were very attentive and helpful with expertise. I have been forced to go to the Tuttle Mall because it is closest to my home and I hate it. Every time I go it is very disappointing with the help there as I have received in the past. While I love the Estée Lauder products this particular Macy's store has problems. And the thing that bothers me the most is, is wasn't busy with only one other customer at the counter. My other visits to the Estée Lauder resulted in help with the product or finding products best for my skin. Tonight it was here's the product you wanted but go pay for it elsewhere. Just poor customer service all the way. And I spent $100 on items I needed replenished. Please look into this. This can't be from Holiday fatigue at this store. 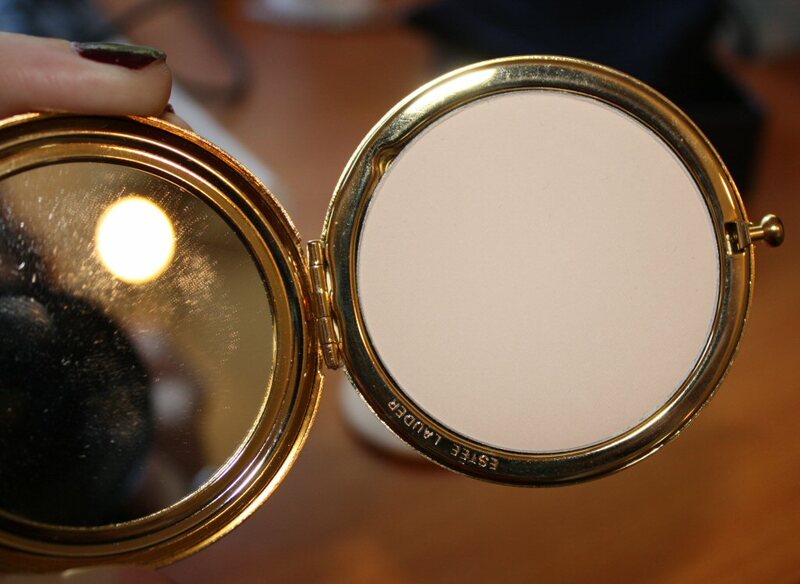 Why did they do away with Lucidity Powder And go to a finer powder and a smaller container. It does not work as well on a scale of 1 to 5 on this it would be less than 1 it does not work as well. This is my only complaint about Estee Lauder. If you are really worried about your appearance, Estee Lauder is the right place for beauty products,skin care and makeup items. Being a new model, I need to concentrate more on my skin care and makeup items and I got the excellent choice Estee Lauder. Estee Lauder has skin care products,makeup items, fragrances,Re-nutriv lotions,Aevin items. Free samples, seasonal products,free shipping on any order and free returns are the excellent services given by Estee Lauder. I recommend Estee Lauder if you are a beauty hunter. Have feedback for Estee Lauder?